Picking a good carpet cleaning company with all the options available can be a very daunting task. You want to make sure you pick a high quality and reputable company. If you have not already realised it, your carpet is actually a big asset in your home. When people come into your home that fresh carpet smell is very welcoming. The last thing you want to do if have people over seeing stains on the carpet and that dull and musky smell around the house. 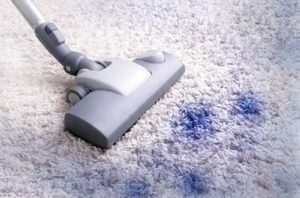 This short article details five quick tips on picking the right carpet cleaning company for you. What Type of Carpet Cleaning? Do you know what type of carpet cleaning you require? When you get your carpets cleaning they could be taken care of in a wet manner or a dry manner. Wet cleaning is commonly refereed to as steam cleaning. While all others are basically consider dry. This is very important as to know the type of cleaning you are looking for as some carpet can only be cleaned with dry cleaning. For example wool carpets. There is also a drying period with wet cleaning. So if you need to be back in your property ASAP once the cleaning is done then dry cleaning might be a better option for you. In today’s world it is easy to find out the reputation of a business. People like to complain and are 10x less likely to leave a review that is positive if they had a good experience. That is your upper hand. When people leave a positive review for a business online on sites such as Yelp or Google. You will know that there were about 20 others who didn’t leave a review who had a positive experience. So if you find a company that has a lot of positive reviews and almost no negative reviews (or none!) you know you have found a good carpet cleaning company. There is something to be said about budget carpet cleaning. Everyone with a vacuum these days can start a carpet cleaning business. So avoid the very cheap companies and go more mid range. There is no reason to go for an expensive company also. Mid range is fine. They will get the job done and you will be happy. You need to ask what is included. Some companies add on extras that are chargeable. You might be thinking you will get those for free. For example if you need upholstery cleaned it’s generally not included. If you are expecting your whole place to be cleaned but you are only paying for a certain amount of rooms then you need to be clear with the carpet cleaning company about the number of rooms that need cleaning. Will the clean the stairs for your? Will they move the furniture out the way or do you need to have this completed before they arrive? It’s best to ask as many questions when you call the carpet cleaning company. When you hire a carpet cleaning company you really need to consider who is actually going to be doing the cleaning for you. You will be letting a stranger into your home ultimately. It’s a great idea to double check with the company how they vet their staff before hiring them. Do they check personal references? Do they conduct criminal background checks? The last thing you want is someone coming into your home that would be someone your wouldn’t normally let in. So there you have it! If you use these five quick tips to pick a carpet cleaning company you should end up with a great company who does a good job. There tips were written up by Paul Laing of Clean Victoria. Paul has been running his Newcastle carpet cleaning company for some time now. He is a professional carpet cleaner with many years of experience even before he started his own company. If you need carpet cleaning in the North East of England then Paul is who we recommend. Having cleaning carpets is not only essential to having a clean hope but it’s also essential to good health. If you don’t clean your carpets often then the build up of dirt, dust-mites and allergens could impact your health. Here are a few quick tip bought to you by the good folks over at We Move and Clean in Swindon. Lead by Lucas whose company main deals with carpet cleaning in Swindon. He has been in the business of cleaning carpets for over 30 years. So there is no one better to provide a few simple carpet cleaning tips. When you are doing proper carpet cleaning and hiring a machine to steam clean your carpets then use a basic vacuum first. This will get rid of all the dirt in the carpet. It is possible to go right to a carpet cleaning machine or a steam cleaner but it’s also counterproductive. As you might not get a proper clean. If you have some nasty stains on the carpet then you can easily pick up proper carpet cleaning solution from your local hardware store. This will help the stain lift out of the carpet and then you can vacuum over the effected area. If you are hiring a high end steam cleaner then you should be able to buy some professional grade cleaning solutions from the company who hired your the machine. If they don’t throw it in a package deal for free that is. It’s best to let the solution sit on top of the carpet for at least 10 minutes before vacuuming over to really get out the stains. If you can’t get the stain out of the carpet of if you simply don’t have the time just hire a professional. Professional carpet cleaning is not really that expensive at the end of the day. Most companies do package deals for about $150 for two or three rooms. If you are in a good job making good money then the peace of mind knowing that you’ll go home and the carpets will be clean and you don’t have to worry about it is well worth the price. These three tips have been bought to you by Lucas from We Move and Clean. If you’d like to hire them they can be reached at WeMoveandClean.co.uk. If you need carpet cleaning in Swindon Lucas and his company are the ones you can trust!